How to reduce your weight fast? People often says more than one to a tips or diet-plan, according to which weight loss is going to be a game of children. But the reality is different because in reality you know how difficult it really is to work. That's why I am sharing best tips with you today how to reduce weight. I have tried this article as the best or one of the best articles written on topic of Weight loss. The science of weight gain is very straightforward. If you do not burn as much calories as you eat, it is fixed to increase your weight. In fact, the remaining calories only gets stored in our bodies as fat and our weight gets increasing day by day. Now if you are overweight or obesed then you strictly needed to reduce your extra weight. And if you needs it, then you should definately go to what are the reasons for what you have reached. The most important cause of growing weight is our bad diet plan. If our calorie intake is more than we are burning then we get more chances of weight gain. Eating more fried, fast-food, country ghee, cold-drink etc. gets more calories than required in the body, which we can not burn without doing extra effort and the result is seen as our increased weight than we had desired. If you have proper knowledge and you really know about how many calories your body needs and how much you are consuming every day, then your weight will not increase. If your routine is such that you do not have to move more hands and feet or you don't have enough physical activity, it is almost certain that your weight would increase. Especially those who stay at the house or sit in the chair all day, they should deliberately involve some physical activity in their daily-life. As you can use the stairs instead of the lift, play a game of your interest, such as badminton, table-tennis, etc. If you can afford a treadmill or a gym cycle and use it regularly, it will be quite beneficial in controlling your weight. The cheapest and easiest way to do this is to get used to the habit of strolling for a while everyday. But besides this, you can increase your weight for a number of many more reasons. Now that you know the main reason for growing weight, then it will lose or reduce depending on your will and information. Here I am sharing some tips for weight loss. Hope this information will work for you. It is a well known fact that the people who exercise regularly and those who play any game, weigh heavily can never be overweight. You can also reduce your weight by shedding your sweat out. Exercise is the best and most effective way to do this, because it not only reduces your weight, but also keeps the body and mind healthy. It is more important than anything else that you believe in the efforts you making to loose weight. If you are going to a gym regularly on one side and on the other side you are saying to your friends that if you do not have the benefit of going to gym then your subconscious mind will also accept this fact, and you really do not have any results of your affections. It is very important to think and talk in positive way with yourself. You should say to yourself, "I am fit", "I am getting desired results", etc. Think of yourself as you want to be look like. Be sure to know that it will definately help you lose weight. If you want you can put a photo on your room wall, or on the computer screen as you would like. Seeing yourself like that everyday and making more efforts will make that thing even more possible. At the time of breakfast, make sure to use healthy drinks orange juice, tea, milk etc. But after that, use water only for drinking the whole day. Do not touch the cold-drink and also keep complete proper control over tea and coffee. This will surely help you to consume less than 200-250 calories every day. This is a best device that counts each and every step of you. Put it in your belt carefully and then try to go 1000 steps everyday. Those who have over weight usually carry only two to three thousand steps throughout the day. If you add more 2000 steps to it, then your current weight will remain and weight will surely decrease if you run much more than that. Write whatever you eat daily. Research has shown that those who do this process they consume 15% less calories compared to others. If you think that you consumes 1800 calories daily and still you do not have any control on your weight, then you may have surely misconstrued your calorie intake. Normally if you add more 10% to your estimate then your estimate will be far more accurate. It was found that if any person eats 5-6 times a day, instead of eating three times in the morning, afternoon, evening, then he 30% consumes less calories. And if a person is taking as much calorie as he consumes three times, even after doing this, the body releases less insulin, which keeps your blood sugar accurate and you feel less hungry too. Walking daily will not let your weight grow, but if you want to reduce your weight, you should walk for at least 45 minutes daily. If you do this regularly, without changing your diet plan, you can reduce the weight easily. And if you do this work in the fresher air early in the morning, then the matter is something else and you will get more benefit. But for that you have to add the good habbit of getting up early in the morning for walking. Once you've got the right weight, donate all of your old clothes, which you will loose now, you can give it to anyone. Doing so will have two advantages One would be you will feel happy for donating, and one thing will be there in your mind that if you are fat again, then you have to buy back so many clothes. This thing will encourage and force you to keep your weight right. Good laughing is just like a diet plan. According to a research, consumption of 10 to 40 calories daily increases with laughing 10 to 15 minutes daily. This means that with laughing for sometime and your weight decreases from half to two kg in a year. Laughing not only removes your worries, the body remains healthy, but calories burn faster too. It has been revealed by the absurd that it doesn't matter that how much hungry you are; If you have less food in your plate then you will eat less, and if you have more food in your plate then you will surely eat more. It would be beneficial if you take a small plate. Similarly, use small cup to drink tea and coffees. In one study, it is found that people who sit in front of a mirror are generally eats less in compare of others. Perhaps seeing your body out of shape reminds you that reducing weight is very important for you. Eating foods those contains water, such as tomatoes, gourd, cucumber, etc. consumes your overall calorie consumption. Therefore, use them as much as you can. It can be very beneficial for you. Use milk with low fats to make tea, coffee, which contains more calcium and less calories. Make oats but these are not instant oats. Bring the pack of plain oats and pour onion, garlic, cinnamon and other salt to be added. You can put vegetables in season according to this. If possible, insert broccoli or cornflakes and double-toned milk or if you are non-vegetarian then white or white part of three or four boiled eggs. If you want, without the sugar lemon, Sugar can eat eggs before the first drink, or sometimes you can take a boiled potato in the breakfast with yogurt. Put green coriander in it too. Consume 5 to 10 almonds, coffee or tea with green tea or ginger, basil, cinnamon, cardamom etc. are just sugar free instead of sugar. Roti of one bowl brown rice, salad, lentils and multi grain flour. Evening tea-shaws - Tea or coffee or green tea with a wedge soup or roasted gram. If you want, you can also take sprouts. Filling a bowl with a bowl wed soup, a bowl salad, or a big bowl of papaya or a bowl, there are garlic, onions, or non-vegetarians, then three egg white or 150 grams of chicken breast, or two leg pieces. It is not necessary that you only eat these things. It is essential that you should eat the right amount of calories. Along with this, excess intake of fluid and regular exercise should also be done in their daily routine. But there are also some foods that you should avoid if you really want to loose weight and want to maintain your body shape. Many people drink soda and cold drinks in their regular diet. Most of us drink cold-drink when we feel thirsty in summer. Drink cold drinks as much as you need, because it contains too much sugar; it increases obesity. When you were thirsty. Drink more water Drinking water has many advantages. Drink cold water, drink lemon water, butter milk, green-tea and other healthy drinks. Drinks contain soda, cold drinks, fruit beers, jeans beer lemon soda etc. We should discard canned food from our regular diet because it contains many chemicals which are harmful to health. There is too much sugar and fat in the canned food, it is very dangerous for the canton, so always eat fresh food, fresh food contains essential minerals and vitamins which is essential for our body. Examples of canned food: sacrifice cookies, cheese, peck milk, canned meat, hot dogs, potato chips, noodles pickle, sugar. Calories are very high in sugar and nutrition is not at all. You should take natural sugar. It is in fruits and vegetables and they give energy. In addition to these natural sugars, many people take refined sugars that increase obesity. Gum, cold drinks, sweets, cakes are very common in all of these, instead it can take brown sugar and honey. Forget fried food because it contains lots of fat. These fried foods increase obesity. Fresh oil is not used in fried food found in the market. We often suffer from foot poisoning, heart diseases and obesity, all of which are due to eating under food or food. Eat these foods completely, eat raw and boiled fresh vegetables instead. Examples of fried food - fry chicken, fry pork, fries fish, fry potatoes. Lack of alcohol, there is a lot of harm in drinking alcohol. Many people drink alcohol as well as exercising, but it is also important to leave alcohol for a healthy life. Alcohol is a kind of poison, alcohol contains too much calorie, which is harmful to the body. Excessive alcohol consumption can lead to sudden death and heart stroke. Instead of much alcohol you should drink freshfruit juice, vegetable juice and healthy drilling. Breit pasta, noodles are foods that contain high calorie. All these diets are made of white matter. These lead to high blood pressure, heart attack, obesity, high cholesterol and other diseases. Use white wheat flour instead of wheat flour, so eat wheat made of wheat instead of eating white flour bread and pasta. Examples of white flour: - Cake, cookies, biscuits, rolls, pasta, macronie, cheese, burgers, pizzas, bread steaks. There is too much fat in the meat. This fat increases obesity. The excessive consumption of the meat stops the arteries. This can also lead to heart attack in the future. Release the red meat in your regular diet. Instead, eat chicken and fish and have protein in them. Examples of red meat: - Wolff, Lamb, Mutton, Pork, Goat, Rabbit, Buffalo. Many of us can not eat food without degradation. But these desserts contain sugar, cream and fatty products. Doctors refuse to eat sweet every day. It is very dangerous for future, eat fresh fruits instead of theirs. Examples of desserts: - Ice cream, cheesake, chocolate, muffins, chocolate brownies, cookies, toffee, pudding raspberry etc. Give up the pizza, burger like fastfoods, because they do not have nutrition and calories are very high. Refuse to eat fast food, this can lead to many health problems. Instead of fast-fut, eat oatmeal and fat meals at home. Examples of fast foods: - Pizza, Hamburger, French bins and all those foods that are made in oil and prepared in 5 minutes. 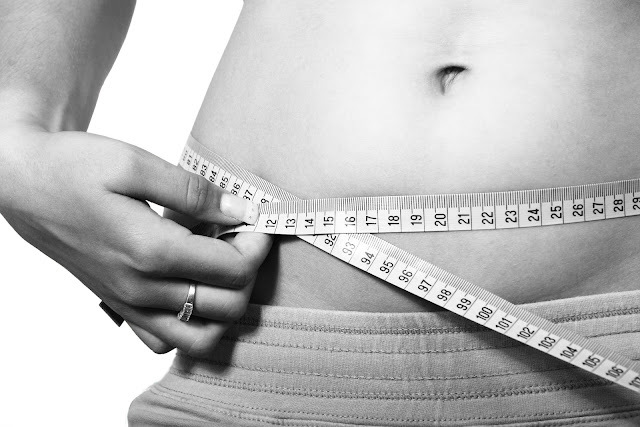 While losing weight, do not eat a braker product as it contains a carbohydrate that increases the weight. Potatoes, breads, cookies etc., such as bread-food, are made of white dough and sugar, so if weight is to be reduced, then away from it, fat is high and nutrition is low. Examples of baked foods: - Cakes, pastries, pizzas, cookies, curcurs etc. In this yoga posture, the shape of the body becomes like a bow pulled in general, which is why it is called Dhanurasan. Dhanurasana is effective way to lose fat in the stomach. This makes exercise of all internal organs, muscles and joints. To do this first lie down on the stomach. Then connect both legs together. Turn both legs with knees. Hold a foot gap between the knees and the toes and hold the ankles of both feet with your hands. Raise the knees, thighs and torso of both legs with convenience and at the convenience of the hands. Keep breathing easy In this situation stop for a comfortable period and come back to the pre-condition. This seat is very effective in reducing the stomach fat. This posture stirs all the muscles of the body. To do this, sit in front of the legs and spread the breath, holding hands on the knees, lifting the hands upside down and straighten the waist upwards towards the top, lean forward and leave the breath and the legs with the hands Hold the forehead on the knees. Keep in mind that the knee should not turn. And try to put the elbows on the ground. This posture is very beneficial in reducing stomach fat, making waist thin and strengthening shoulders wide and sides. It has great importance in making the body flexible and shapely. Bhujangasan is also called Cobra Pose. Because it creates a snake-like potion in a wide variety of ways to appear. To do this, lie down on the ground with the stomach. Now lift the upper part above the body's waist with the help of both hands, but the elbows should be bent towards you. The palm is open and spread over the ground. Now move the rest of the body to the non-moveable face upright. Stay in this posture for some time. This posture facilitates fat reduction. It is a good posture to make the lower parts of the body and make the legs fine. It keeps the body flexible. To do this, spread your legs across the front and sit straight. Keep in mind that the claws are connected and spinal cord should be straight. Now, keep both hands on the ground and raise the lower part of the waist upwards. After staying in this state for a some time, return to the normal state. Kadalabhati Pranayam does less fat stomach. To do this, sit in any posture of meditation. Put both palms on the knees in the knowledge palm. Loosen your eyes off. Brush out the nostrils with a slight shock and breathe easily through the nostrils. This is a frequency of Kapalbhati. Make a cycle of its 25 frequencies. After a cycle, take two to three deep breaths and practice another cycle. Gradually increase the number of cycles. By doing this asana, the muscles are strong and the stomach fat decreases. Brings flexibility in the inner body of the body. Gives peace to body and mind. Apart from this, it stretches knees and muscles. To do this, sit on the ground with knee and place the entire body on the anvil. Breathe deeply and lean forwardwards. Keep in mind that your chest should touch the thighs, now try to touch the floor on your forehead. Stay in this state for a few seconds and come back to that state. The camel's shape is made in Uprashrasan. That is why this rapture is called. If the stomach is too much, then this yoga affects your stomach, waist, chest and arms. To do this, sit in the thunderstorm and stand on your knees. Hold the part from knees to the waist and turn the back backwards and hold the legs with hands. Now bow the back of the head back. This action makes the digestive process dynamic by strengthening it. Along with this, by removing stomach fat, removes obesity and it is also beneficial in constipation. This pranayama can be standing, sitting or lying down in three ways. To sit down, sitting in Siddhasan can be done by placing both hands on both knees. Stand up to it and keep the legs slightly open by putting the hands on the jiggs. Stop breathing out. Then pumping of the stomach i.e., drag the stomach inside, then leave it. When the butterfly is done in the asana, the shape becomes like a butterfly. Hence this asana is called butterfly asna. This yoga affects the stomach and thighs. If you have more fat on the thighs and feet, then this posture should be done. To do this, kneel both legs together and knead the pins and bring the anterles closer and closer. Hold the knees with hands and lift the knees and mix them together and press down on the ground. Do this exercise 3-4 times. If you want to reduce your stomach fat, it is very good for you. It reduces the stomach fat, waist and buttocks fat. This will make your waist thin and in the figure. It also removes the constipation problem by healthy digestive system. Stand up to this and open the legs slightly. Tighten the fingers of the hands and lift it over the head. Remove the breath and bend the waist in the left side. Do the other side also. It should be remembered that you have to be patient to reduce weight. By focusing on small things, you will be able to do this faster. And it is very important to believe in what you are doing during this time.